Another event, another surprise. For this event, we had the immense honor and privilege to have none other than Mr. Kikuo Ibe, the father of G-Shock, join us all the way from Japan on the brand’s 35th anniversary year! 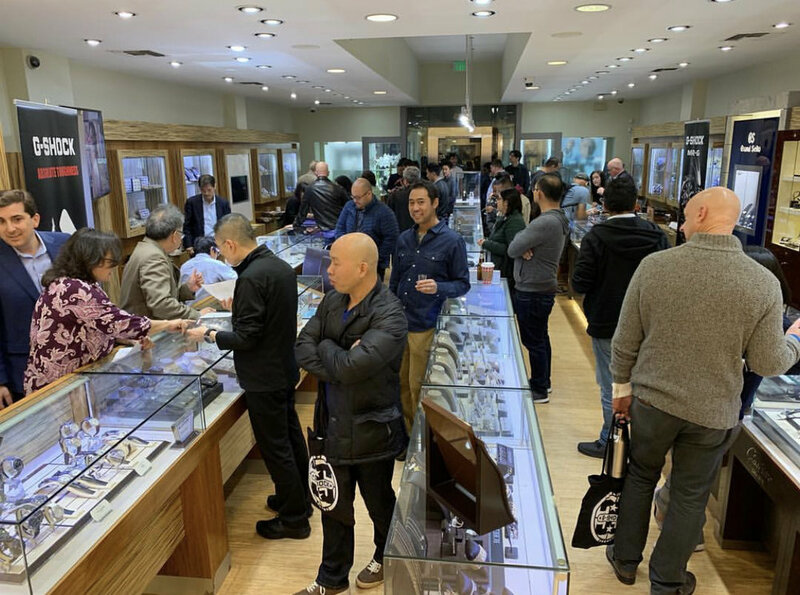 For this event, G-Shock and Topper pulled all the stops and so the Japanese beer, whiskey were flowing, attendees enjoyed some great Japanese food and had a chance to checkout some really cool pieces all night. G-Shock brought along the famous 1 of 1 solid gold prototype which led to the development of the very popular GMW-B5000 steel series, as well as one of the 11 original “Project Team Tough” pieces that were awarded to the original engineering team (my favorite piece of the night). Attendees were also able to meet Mr. Ibe and he was extremely kind enough to dedicate his time to meeting everyone and signing whatever G-Shock swag or pieces they might have brought along - that even included a MR.G piece whose owner has decided to never wear again to mark the special occasion! We saw a lot of new faces that I hope also had a blast and will continue to join us in the future. But the highlight of the evening was Mr. Ibe’s presentation about the history of G-Shock, the spark that led to his decision to pursue and eventually invent and build the first G-Shock, and his plans for the future. This was an absolute once in a lifetime opportunity and I am so humbled by Mr. Ibe’s presence, thank you again G-Shock!